Purple is a good summer color, it stands out nicely from the greens and balances other ‘hot’ colors. 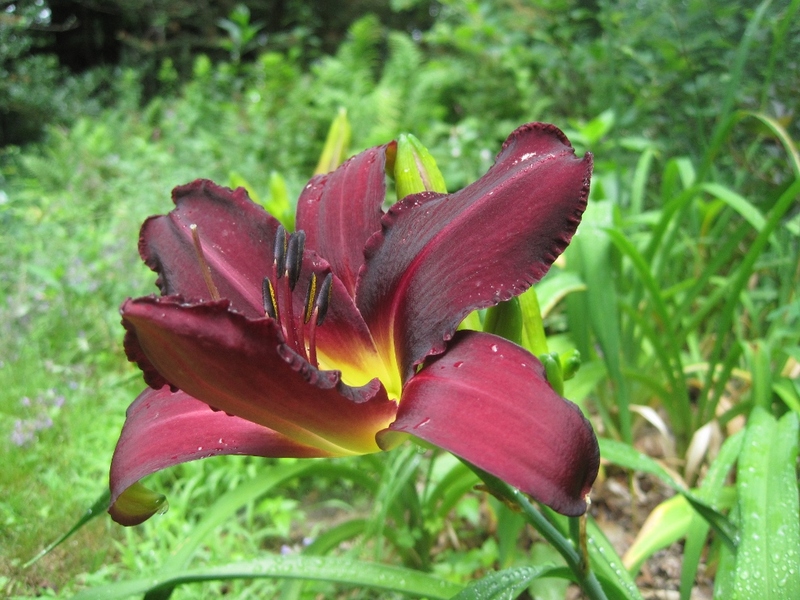 This purple daylily promises to be quite vigorous in the right spot. It is short, but since the colors are such that one wants to get a good look at it, that isn’t a drawback. I like its shape as well, I’m partial to the ones with more defined petals. No name, it was picked from a local nursery that just sort of lets them run wild.